We were privileged to have Jason as our wedding photographer. We could see from the outset that he takes pride in his work: he was professional and discreet throughout the event. He was also great company. He was efficient and thorough in processing our photographs. They had a lovely style and he managed to capture the atmosphere and people's facial expressions so well. We would highly recommend him! We could not have asked for a more professional and accommodating photographer than Jason Pierce-Williams. His passion for photography and his great character allowed us to enjoy every minute with him. It is really inspiring to watch him practice his craft. He was also very flexible, being able to manage our expectations and needs, which was a two day pre-wedding photography session, at two locations, London and Wales. Always there for us. Jason's working style always allowed us to be ourselves, comfortable in our own skin. His shots were all very well planned and they really turned out to be brilliant captures of the moment. We are really looking forward to seeing Jason again, whatever the occasion may be! We both knew that we wanted a photographer who would know just how to capture our day without us feeling like we were on parade. As soon as we saw Jason's portfolio we loved the natural feel to his photographs and the way they really catch the human emotion involved. We arranged to meet him and instantly fell for his laid-back approach and his dedication to his art form. In the run up to the day Jason Pierce-Williams was super responsive to any questions we had. On the day itself, Jason was focused, fun and chilled. We wanted photos to remember our day by but we didn't want to spend it posing for the camera. Jason was brilliant - he had a clear idea of what photos would work and how to get the right shot. He directed us efficiently and put up with my constant getting involved (! ), all while putting us at ease and - importantly - ensuring we got to enjoy every second of the day. We were absolutely thrilled with the end results. We have photos that really represent our wedding day - not only is there a lovely mix of shots, but each and every one shows off the beauty of our venue and the happiness that we all felt that day. We couldn't have wished for better. Jason sent us a few "teasers" within a week and we had the whole lot (over 500 photos) just over a fortnight later. Everyone who has seen them has complimented us on them and asked who our photographer was. Jason is a hugely talented, lovely and humble man, and we can't recommend him highly enough. We should also mention that Jason brought a second photographer, Andy, with him to our wedding and together they captured different angles and gave us a really broad range of shots. Andy was super friendly and he and Jason made a great team. We were delighted with all the photos we received. Jason Pierce-Williams was recommended to us by a family member as an extremely talented and experienced wedding photographer. He did a wonderful job with our photos and we’re delighted with the results! His style is relaxed and unobtrusive, whilst being focused and professional. He also has a great knack for capturing natural moments throughout the day. Everyone has been really impressed with his photos, and we know we’ll be treasuring them for years to come - thank you so much! Jo and Rachel - September, 9th 2016. Once we got engaged someone once told me the most important thing to do was to choose the right photographer.....and boy ... were they right!!!! My fiancé met Jason Pierce-Williams on a photography course (Jason being the teacher) and instantly respected his passion and eye for photography . We set up a meeting with Jason and from the moment we sat down with him and discussed our vision we instantly knew we could put our full trust in him with capturing our day in a way that was unique without the stress of posing. If you are a couple who want proper photography capturing every emotional expression by your nearest and dearest than Jason is your man. Unfortunately a very close member of our family could not make our very special day and as promised Jason sent me the visual within 48 hours .... Once they received all 300+ photo's they instantly contacted us and remarked on our photographer's genius and rejoiced in the fact that wedding photography is no longer boring!!! I literally can not recommend this guy enough. Jeffrey & Louise. September 27th 2016. We came across Jason's website after receiving a recommendation. We loved his street photographs and his ability to capture unposed and naturalistic images. Jason was helpful and approachable in the run up to the wedding and also very reassuring. On the day he was very professional, relaxed and unobtrusive. The wedding reception took place in a art deco pub which has many original features which Jason was able to capture to maximal effect. He took a mixture of black and white and colour images and also posed and naturalistic shots, including pictures of group and couple dancing. We absolutely loved the quality of the photographs which we feel captured the spirit and the joy of day. The feedback we have received from friends and family has been uniformly positive. His use of natural lighting and his ability to capture people's character and expressions is remarkable. Jason has been approachable and easily accessible after the event and has helped us choose a selection of photos to make into an album. I met Jason Pierce-Williams at the photography course he was running and found him to be not only a great teacher but very easy to get on with. His photos on the website are fantastic and my (now) wife and I thought his style was really what we wanted for our wedding. It was very hassle free arranging the day with Jason. He was organised and communicated well with us and our guests. He is passionate about his work and we knew the photos would be great even before we saw them. We now have the finished photos and are so pleased with them. He has captured moments that defined the magic of our day. They are stylish and have a bit of "the street art" about them which is Jason's style and what we like about him. Many friends have enjoyed the photos and we would recommend him without question! James and Tash September 2015. I chose Jason Pierce-Williams as our photographer for our wedding at Burgh House in Hampstead from a selection recommended to us by the venue. 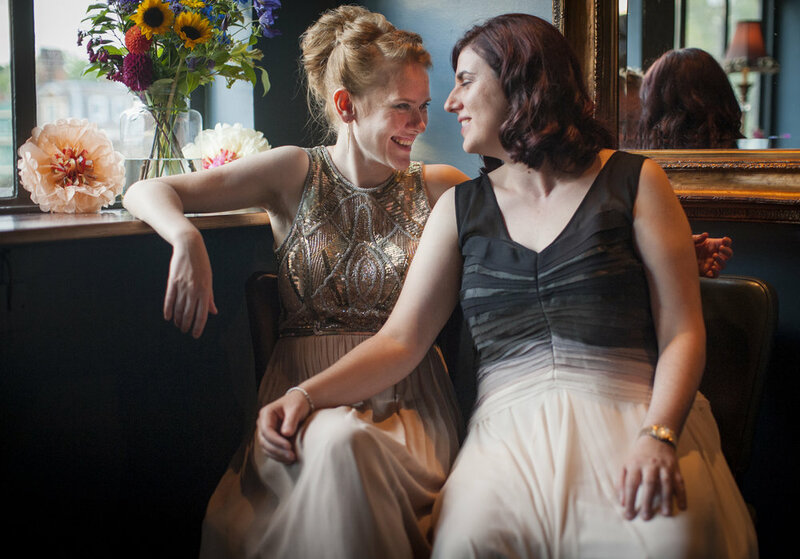 I had seen a simply beautiful photo on his website of a couple getting married at Burgh House. All I wanted was for him to achieve the same for us. However when I called him, I explained that we had a couple of issues that might affect his ability to achieve such good work. Firstly I was going to be 6 months pregnant by the time the wedding came around; and certainly no bride wants to look big in her wedding photos. Also there is a significant height difference between my husband and I, which always affects how we look in photographs together. Finally we have a 2 year old son that was going to be an integral part of the ceremony. However, who can predict what havoc a toddler might create just when you want him to be angelic. Jason wasn't phased by any of this, and took all of these issues completely in his stride. He achieved the most stunning photos for us, really capturing the essence of our little family on our special day. He also created our own beautiful, but completely natural version of the photo I had so admired, in the end quite different to the previous couple, extremely touching and most importantly very much us! ‎Both my husband and I do not like pictures of ourselves and always shy away from the camera. However Jason has given us both an incredible memory of our wedding day; and stunning photographs of us together that we never thought would be possible. We are absolutely delighted with them. Thank you! Got them! IN LOVE! Oh they are so perfect!!! We cannot thank you enough!!! We are going to spend some time ogling these and will surely be getting back to you about ordering some other goodies (like prints and books and whatnot). I'm so happy I cannot even tell you! I knew when I found you online that you had just the artistic eye and skill I was looking for and I was oh so right! We had such fun working with you and these pictures will bring us happiness and joy for the rest of our lives as we take them in and remember that special moment in time. 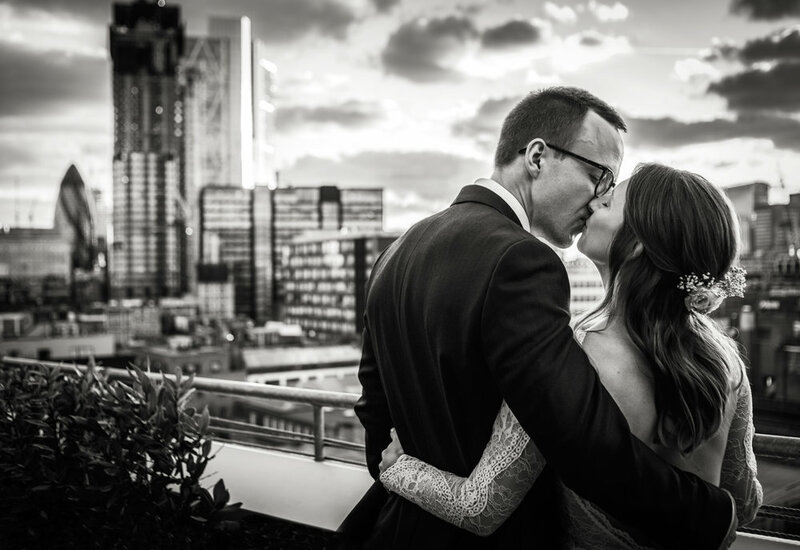 Jason captured our most memorable moments of our day with artistry and realism. We haven't stopped looking at the images since we received them! He finished the images with subtle use of photographic tools, which ensured they don't look too fake. Jason was easily contactable both prior to and following the day. He ensured he had a clear vision of the type and style of images we wanted to receive. I really recommend his services - you won't be dissapointed!